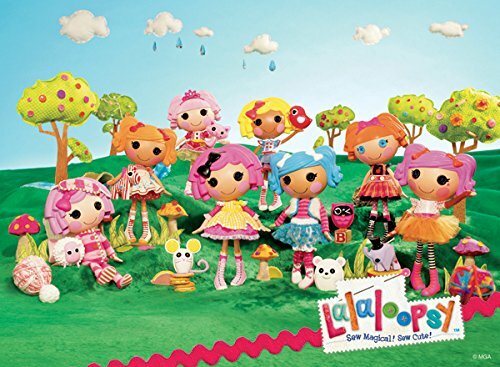 Knowing the current toy craze makes it easy to find a gift for a girl - if they're fans of Lalaloopsy. (It's usually pretty easy to find out what toy craze a child is interested in. Either by asking their parents or having a quick chat to the child.) But toy crazes like this can get expensive. 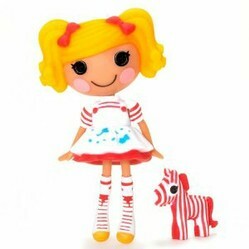 So if you want some great Lalaloopsy toys that won't be over your budget check out these fun gift ideas. 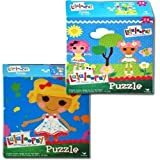 Puzzles are a fun and educational gift idea for kids - and this puzzle pack is a great buy. This is because there are 2 puzzles in each pack. The puzzles are the ones shown in the picture (on the right) and each has 24 pieces. So there not too hard for younger kids. 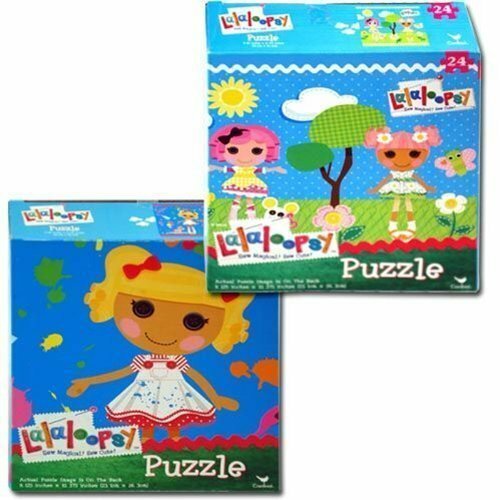 These puzzles are in true Lalaloopsy style. So they're very cute. They're also a nice big size when they've been put together (around 10 x 9 inches). They would make a great gift for a girl who is 3 to around 7 years of age. Lalaloopsy dolls are usually $20 to $30 each. This can get expensive, especially if you need to buy presents for more than one child (this is very true for grandparents). This can be disappointing if you had your heart set on getting on Lalaloopsy doll for your granddaughter of for another child. But you do have another option beyond the bigger playsets and dolls. Mini dolls are much cheaper, very cute and extremely popular among little fans of Lalaloopsy. If you want to give a classic Lalaloopsy toy try one of the many mini figures. These are a fun gift idea for girls from about 4 to 9 years of age. So they make an inexpensive Christmas or birthday present. Don't forget that you can get these mini figures on Ebay so it's a good idea to have a look around the site and see what you can find. If you're buying for a special day like a birthday or Christmas make sure you allow plenty of time because the postage times on Ebay can be much longer than Amazon. 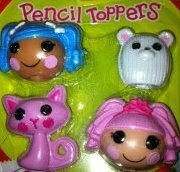 These Lalaloopsy pencil toppers are a unique idea. 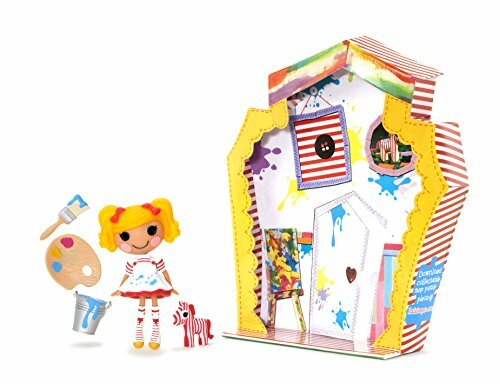 This Lalaloopsy gift is also one of the best for your budget. This means it's good as a Christmas stocking filler toy. But it's also good for a smaller everyday treat that isn't candy or chocolate. What can I say. Kids love stickers. 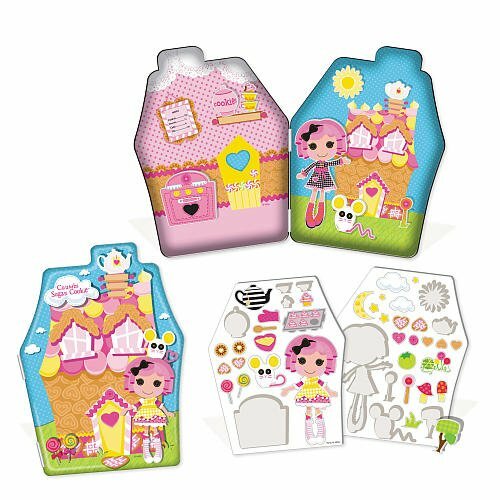 So this Lalaloopsy Gel Sticker Play Set is a great gift choice because it mixes two things girls aged 3 to 8 years love. Stickers and Lalaloopsy. These sticker sets come with a good range of cute stickers and colorful backing boards to stick them on to. The scenes on the boards are themed so they're good for make believe play. The set has reusable gel stickers so girls can play with them again and again. The sets come in different styles and are a few cents over $10 each. But they're well worth the tiny bit extra. This is a compact set so it's great as a tidy travel toy too. So they're good idea if you're preparing for a car ride or plane trip - as well as being a fun everyday gift. Great knitting toys for girls who love knitting or want to learn how to knit.